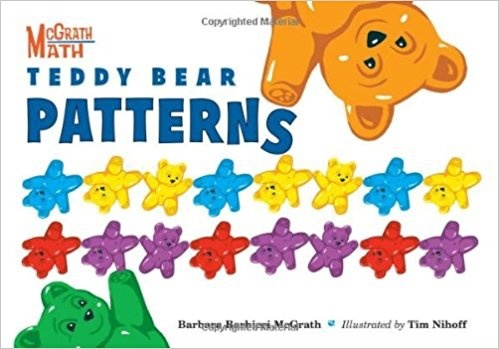 Similar to the first three books in the McGrath Math series of concept books, TEDDY BEAR PATTERNS uses rhyming verse to explain the concepts illustrated by the colorful teddies. 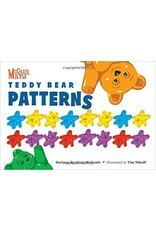 This simple text helps children to follow along as the teddy bears sort by color, and arrange into patterns of two colors, three colors, and so on. Readers will also discover how they can use patterns to skip count, add, and even multiply, before trying their hand at creating a pattern of their own.